TLINE is a range of PA amplifiers developed to offer a high performance plug-and-play solution for PA installations. Built with premium quality and protection circuitry this series combines reliability at an affordable price. 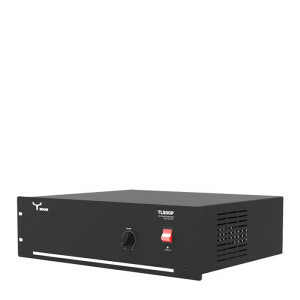 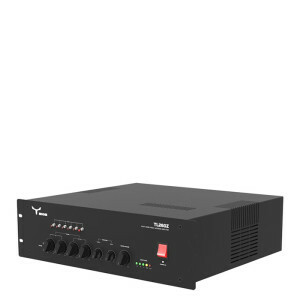 These high value mixer/amplifiers offer a wide variation of input possibilities for all kinds of connection purposes and provide 4-16 ohm and constant voltage outputs - 70V and 100V. 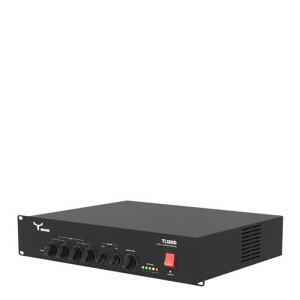 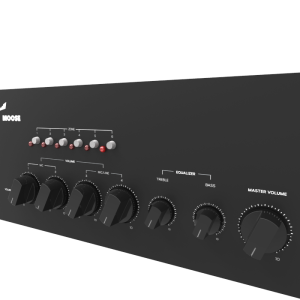 All control functions such as channel selection and volume controls, 2 band tone control, master volume control and indicators like a VU LED bar and clipping LED’s are located at the front of the amplifiers. 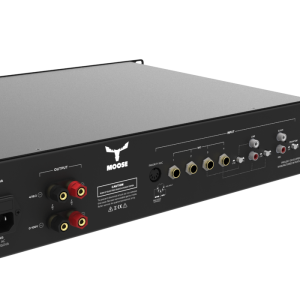 The TL series amplifiers are easy to use and surprisingly affordable without sacrificing features such as electronically balanced inputs and Euroblock inputs, bass and treble controls, phantom power, priority, USB/SD slots all packed in 2RU and 3RU depending on the model. 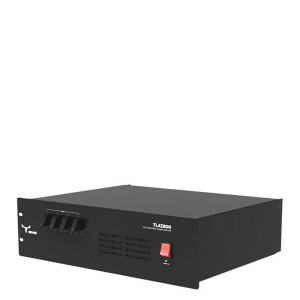 This is the perfect line of amplifiers for use in a wide range of commercial applications including churches, schools, hospitals, factories, restaurantS, retail, small offices.